Vietnam’s trade ministry said on Sunday that Vietnam Beverage Co Ltd, a unit of Thai Beverage, was the only investor seeking to buy all shares of Vietnamese brewer Sabeco on offer worth nearly $5 billion. 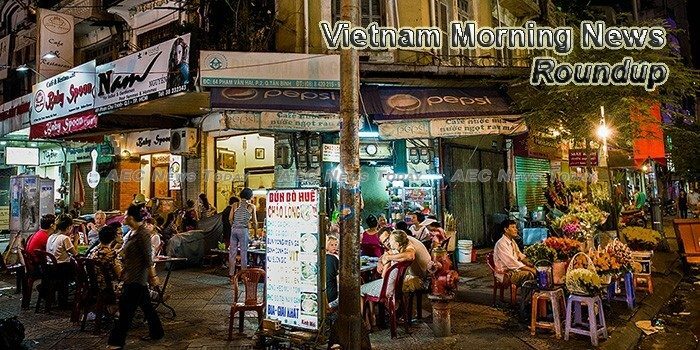 THE Vietnam Steel Association (VSA) has vowed to co-ordinate with the country’s Ministry of Industry and Trade to protect the rights of steelmakers that have been accused of tax evasion by the US Department of Commerce (DOC). Viet Nam is one of the world’s fastest growing e-commerce countries, Lai Viet Anh, deputy director of Viet Nam E-commerce and Information Technology Agency (Vecita) under the Ministry of Industry and Trade, said. The Ho Chi Minh City Department of Taxation has recently issued an ultimatum for Uber B.V Netherlands Co., Ltd. to pay VND66.68 billion ($2.90 million) in tax arrears within 10 days of December 13. The Comprehensive and Progressive Agreement for Trans-Pacific Partnership (CPTPP) will benefit Vietnam not as much as the original agreement, but economists say the new deal will open up great opportunities for Vietnam to cooperate with the world’s leading economies. A proposal to upgrade a decades-old oil refinery in Ho Chi Minh City has sparked concerns as the operator wants to deploy Chinese technology for the facility that is located near a residential area. The Vietnam Logistics Forum was held on December 15 in Hanoi, under the chairmanship of Minister of Industry and Trade Tran Tuan Anh, and Vice Minister of Transport to discuss how to better connect Vietnam with global value chains. Emirates Global Aluminium (EGA), one of the world’s largest aluminium producers, has signed a three-year alumina supply agreement with Vietnamese state-owned miner Vinacomin as the UAE seeks to secure feedstock for its smelters. Despite facing difficulties, the garment and textile sector is expected to export products worth US$31 billion this year, a year-on-year increase of 10.2%, and the outlook is bright for next year too, the Vietnam Textile and Apparel Association (VITAS) has said. A farmer in Vietnam has been going places with his organic farming after ditching a harmful, old model of vegetable cultivation with pesticides. Vietnamese seafood exporters must address the difficulties they regularly face from technical barriers and high anti-dumping tariffs in the US. A new World Bank report, jointly launched on Thursday with Vietnam’s Ministry of Finance, will support the development of a sound financial reporting institutional framework, by improving the understanding of high-quality corporate financial reporting and auditing. Binh Son Refining and Petrochemical Co Ltd (BSR), the operator of Dung Quat Refinery, will conduct Viet Nam’s biggest-ever initial public offering (IPO) on January 17 next year, hoping to garner about VND4 trillion (US$157.4 million) for State coffers. Michener David William would never know he would be warmly greeted upon landing at Tan Son Nhat International Airport before his arrival on Friday, as he was the six-millionth international guest to visit Ho Chi Minh City this year. Russian Export Centre and E&N Group has opened the Russian Gastro House in HCM City’s District 1 to help Russian companies introduce their products directly to Vietnamese customers.